The most exciting Indian Festival of Holi has arrived. Holi is an important occasion that we celebrate to mark the triumph of good over evil. It is the right time to convey the message of love and strengthen the bond of love and friendship. 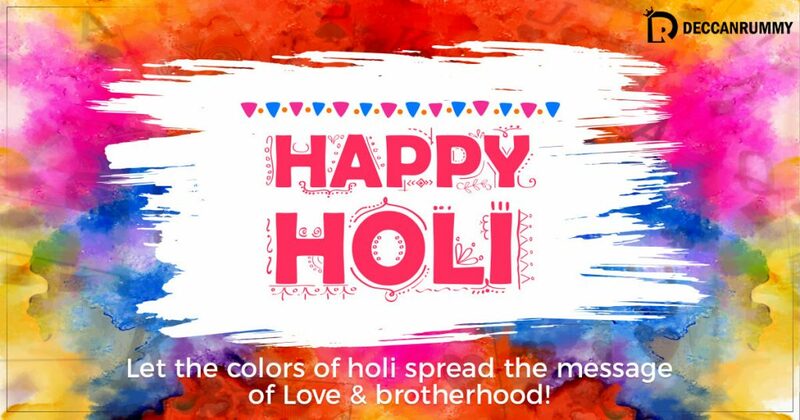 On this day people celebrate the festival by smearing colors at each other, throwing colored water on random passersby, having street parties and happily gorging on Gujiyas, Thandais, and Dhahi Bhallas. Bhang, a drink made from cannabis is also consumed during Holi. Another familiar that can be seen is loudspeakers blaring out Holi special songs during the celebrations at cities like Delhi and Mumbai. VIPs throw a lavish Holi party within their circles. Though the way of Holi celebration differs from state to state, the spirit remains buoyant everywhere. While the festivities are fun, it’s after-effects are not so. In these modern times, instead of the opting of the traditional gulal, people tend to opt for expensive artificial colors, which can cause irreversible damages to your skin and hair. Traditional Gulal, made by mashing and drying spring flowers, hibiscus, and various spices is eco-friendly does not harm your skin that much. Traditionally anything white is preferred as an outfit as gulals stick well to the white clothes. Any light colored clothes might also fit the occasion as they allow the vibrancy of Gulal to reflect properly. Since it’s evident that you are going to get drenched completely in colors, it makes sense to sport baggy pants with a loose light-colored T-shirt. As the climate is hot, it’s imperative you pick cotton materials as the choice of your attire. Celebrating Holi within your family circles or friends is something that we do every year. Why not take your family and friends to celebrate with those who aren’t privileged so much. Why don’t you go visit the nearest orphanage along with your friends and relatives and celebrate Holi there? Let your celebration bring a smile to their life. Also, ensure you take as many gifts such as latest water guns and food items possible so that they have a complete Holi celebration. It’s pretty much obvious that we are going to click the beautiful moments during our Holi celebration. Instead of just allowing the photos just to remain as the soft copy, why not select the best among them to create a photo album. A hardcover always has a value than a softcopy. Create your own funky photo booth with designs you like, to add more appeal. How can a Holi celebration be complete without Rang Barse blaring out loudly? Install a proper music system at your place and play all-time favorite Bollywood Holi songs. There are so many vibrant songs that bring the essence of the festival alive. Some of our recommendations would be Holi Ke Din (Sholay), Hori Khele Raghuveera (Baghban), Ang Se Ang Lagana (Darr) and of course the quintessential Holi Song Rang Barse. Let these songs play in the background when you keep splashing colored water. 1. Holi Fest – On the Festival day i.e. 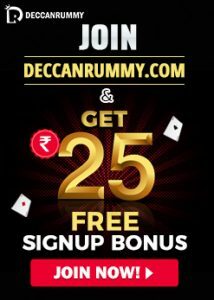 Mar 2, DeccanRummy is offering 10% Cash Bonus up to Rs. 500 for one of the deposits. 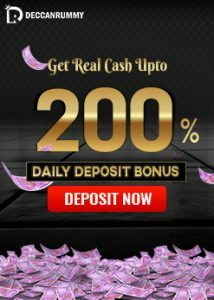 The players have to deposit by entering the bonus code which is “HOLI2018. The offer is valid just for one day. A bonus on the Holi day is always a boon, right? 2. 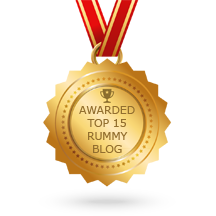 Holi Special Rummy Tournament – Holi may be over by tomorrow but the festivities would remain for a couple of days more as the vibrancy would refuse to wear off within a day. With the festive spirit soaring high, come and play Deccan Rummy’s Holi Special Free Tournament on Mar 3 and 4 @ 3:30 PM. Coming with a collective prize pool of Rs. 40000 spread over 2 days with Rs. 20000 up for grabs each day, the tournament is all set to attract audiences in a big way. So, have your geared up for an exciting Holi celebration? Well, do try to implement any of these ideas and mention how your Holi celebration turned out to be. We at DeccanRummy.com wish all our players a very happy and colorful Holi. Let the sparkling colors of Holi spread love and Happiness everywhere. IPL 2019 Contest – KKR vs RCB – Predict & Win Big!